A taxi to the airport early, two planes via Brisbane to Gladstone, a Bus to the Ferry Terminal and a Ferry to the Island at the edge of the Great Barrier Reef. 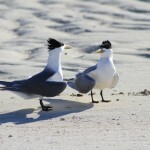 10 hours later two very hungry travellers arrive to marine paradise on Heron Island. We came into the island at low tide with reef fully ringing the island, and one very narrow man-made channel right beside a picturesque wreck. The island is gorgeous! 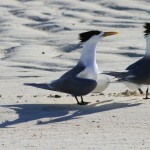 It’s tiny, a coral sand cay with trees, a squillion birds, crystal clear water and amazing sea life. Worth every minute of the trip to get here. This is a real Island paradise. Of course you probably know by now I love sun, sand and water. Stunning blues in the crystal clear water, marine life easily viewed from the shore, fine white sand and a perfect 25 degrees. I am in heaven. Heron Island delivers this and much more. You will find no five star resort venue. There is only one resort and it has no massive infinity pool and waiters desperate to be of service. Heron Island resort is very much a relaxed Island resort with good four star facilities, a restaurant, bar, small pool overlooking the water, a diving centre and an education centre. 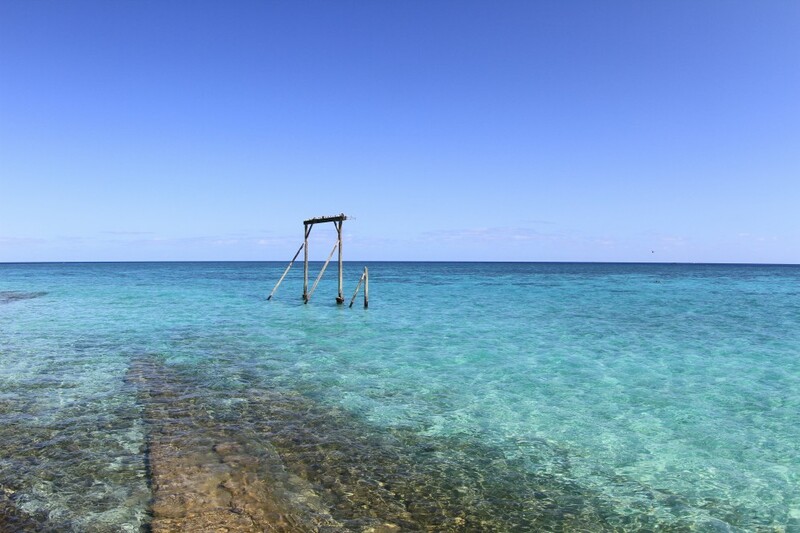 Ecotourism Australia has awarded the resort Advanced Eco certification and the resort has it own power generator, creates potable water and treats waste water. Guest rooms are serviceable motel style spread throughout the Island with a balcony or terrace. The staff are young and energetic. The restaurant does a mixture of Buffet and A la Carte very well and utilised excellent quality produce with a good selection of different choices over the four days we were there. No need to be a diver here to get up close and personnel with all sorts of marine life big and small just off the beach. At the head of the Island you can be snorkelling amongst the coral in a few quick strokes. You will see plenty of interesting fish and colourful coral. The Island is surrounded by a beach of pure white sand. At high tide you will see many sting rays enjoying sunbaking in the shallow waters. Another great spot to snorkel is off the wharf. You are only allowed access to this pre and post ferry arrivals so check the times. This is a fabulous spot to see a lot of fish and many big ones – yes I mean BIG! I We swam with large Black tipped reef sharks (not too close! ), saw a huge tasseled wobbegong camouflaged on the sandy bottom and was way too close to the biggest 12 foot Grouper I have ever laid eyes on. There was plenty of small reef fish on offer too. If you dive there are over 20 dive sites within 20 minutes of the Island and a very professional dive centre to get you there and back. The dives we did were a 5 minute boat trip off shore of the Island and provided plenty of highlights with grand daddy turtles, very cute nemo’s, a couple of black tipped reef sharks and plenty of brightly coloured coral to enjoy. Bring your own underwater camera though, the dive centre had none to hire. Different aquatic life pervades the Island and at different times of the year you will experience different things. 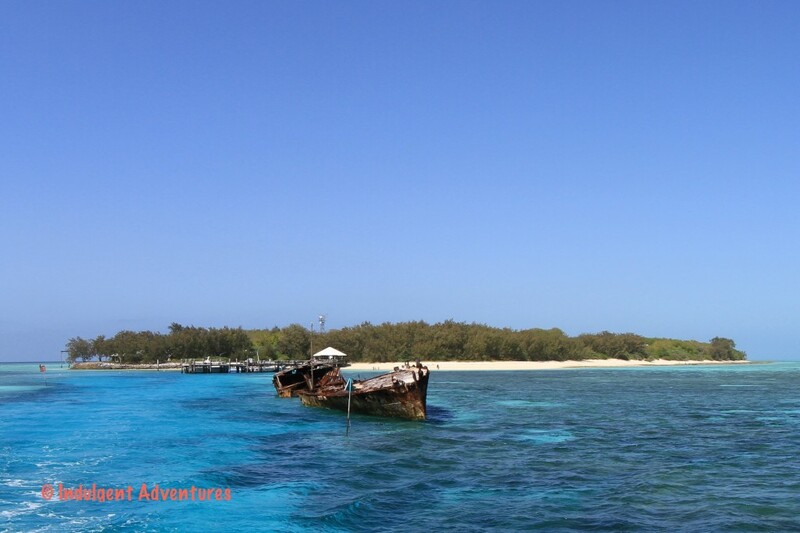 Heron Island is a breeding ground for both green and loggerhead turtles between November to June. We saw two old loggerheads while diving which was a treat. 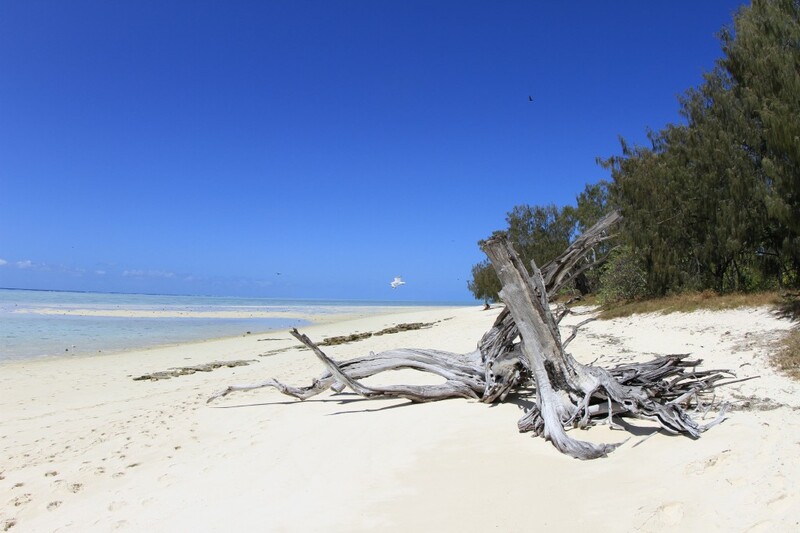 Adult female turtles come ashore to lay eggs from November and hatchlings make there way at night to begin life in the warm waters off Heron Island through to June. 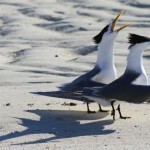 Humpback whales pass the Island June through October and the Island is home to several thousand seabirds – Black Noddy Terns, Wedgetail Shearwaters and Eastern Reef Egrets all nest on the Island. 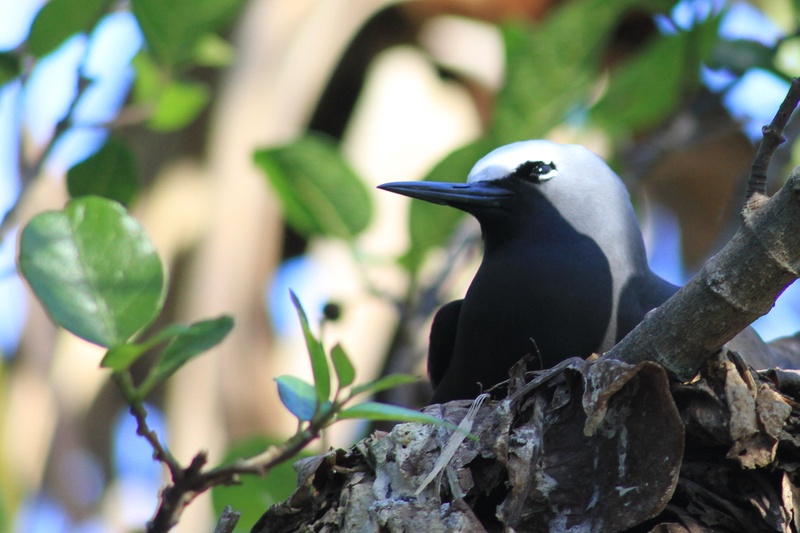 We got some great photos of the Black Noddy Terns and we also saw the buff banded rail, a small ground bird that loved to try to get into the restaurant!